The AAGL Board of Directors (the Board) would like to provide an update on the progress that has been made in the last 45 days in designing and implementing changes to AAGL's anti-harassment and diversity policies. A Task Force on Anti-Harassment, Diversity and Incident Reporting has been created, and the members of the Task Force are actively reviewing and revising AAGL's existing policies. The Task Force staff has been busy benchmarking other medical and scientific societies, seeking best practices for addressing the concerns raised at our 2017 Global Congress. The Task Force will be meeting next Wednesday, January 17, 2018, to review these draft policies. The revised policies are expected to be finalized by the end of January, at which time they will be presented to the Board for its approval. Once the recommendations are approved by the Board, AAGL will take immediate actions to disseminate and implement the policy changes. The Board would like to thank Dr. Jubilee Brown for chairing the Task Force, along with the following members: Drs. Ted Anderson, Linda Bradley, Barbara Levy, Shanti Mohling, Jessica Shepherd, Matt Siedhoff, and JD Villegas. Also, a special thanks to Dr. Frank Loffer and Linda Michels for monitoring and staffing the Task Force. In addition to the new policies being created, the Board has engaged a consultant to develop sensitivity training classes and it is committed to set the example by completing this training at our first in-person Board meeting in next month. The Board is also determining next steps for distributing and conducting the training to all AAGL leaders, including the FMIGS Board. We will provide additional updates on this training initiative as it continues to develop. The Board is excited to see these changes occurring so quickly following the decision being made to revisit/improve our policies, and will continue to keep the membership updated on our progress. 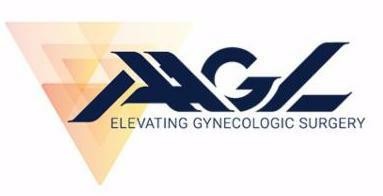 The Board believes AAGL is a leader among medical societies in adopting these revised policies and training and will continue to be committed to making all AAGL members feel safe, included, unified, and empowered in our society. If you have any questions and/or concerns regarding our efforts, please feel free to contact Dr. Jubilee Brown at jbrown@aagl.org .